Perth became a really special city to me. 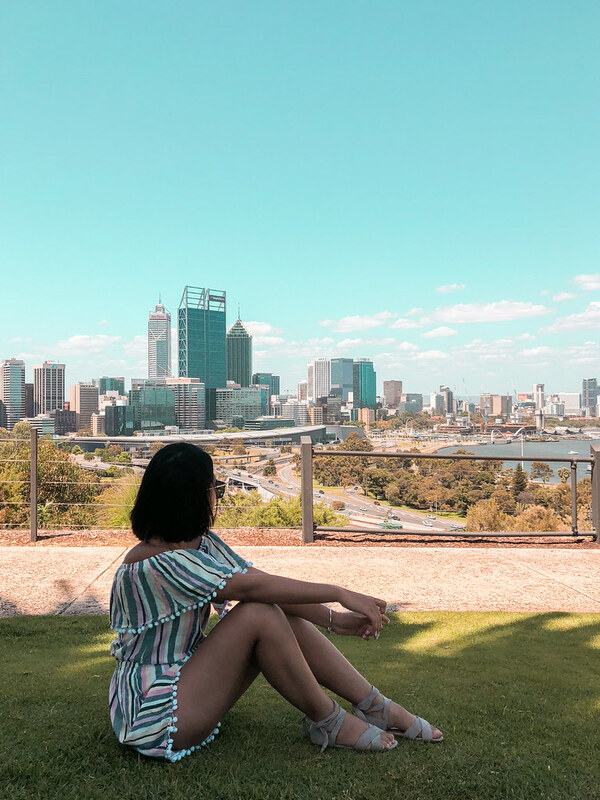 I went on my first solo traveling to Perth, Western Australia for four days trip. It was a life changing moments to me personally. That's why when my auntie asked me to arrange a their trip to Australia on Christmas-New Year, I suggested to opt Perth instead of other 'common' Australia destinations (please note that my aunt has been to Sydney and Melbourne two years ago). Perth is really close to Indonesia. It is only a three-hour-direct-flight from Bali or four-a-half-hour direct flight from Jakarta. There is not much time difference between Indonesia and Perth, given that Perth is GMT+8, yet Perth is two hours behind from Sydney. I understand that most of you will say 'Perth is boring' or 'There's nothing in Perth'. Well, this is what makes it unique because it has not really been explored by tourists, both local and International. 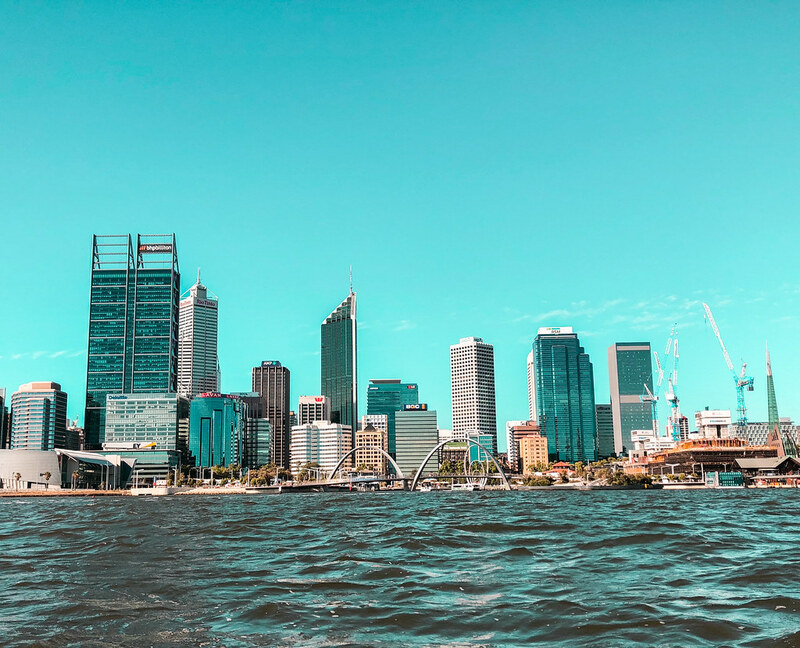 On this first part, I will cover PERTH CBD and its surroundings. 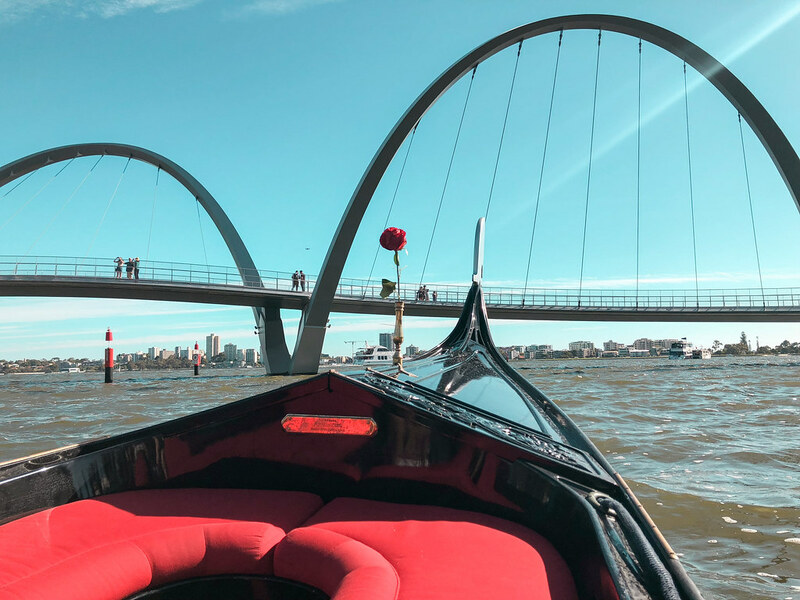 Gondola on the Swan at Elizabeth Quay -- Now you don't need to wait until you visit Venice to ride Gondola. 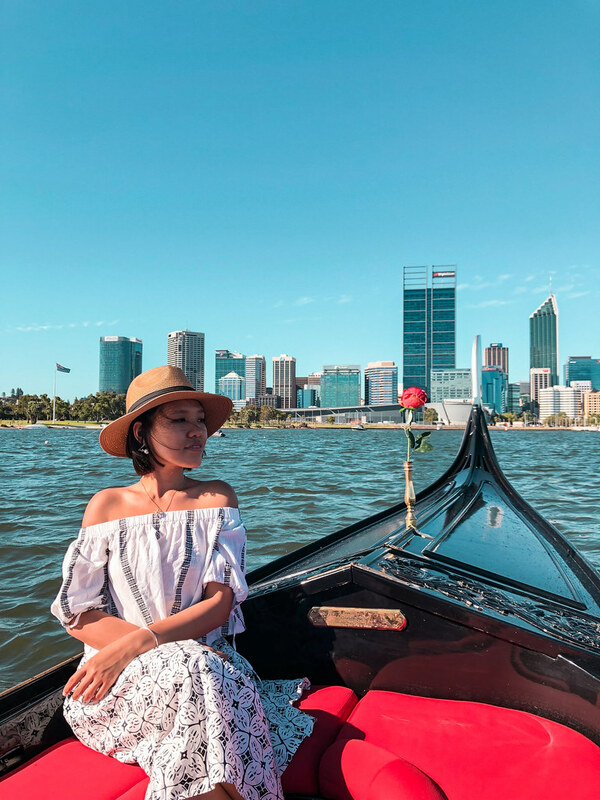 The Gondola on The Swan gives you a nice round and see Perth skyline from the water. 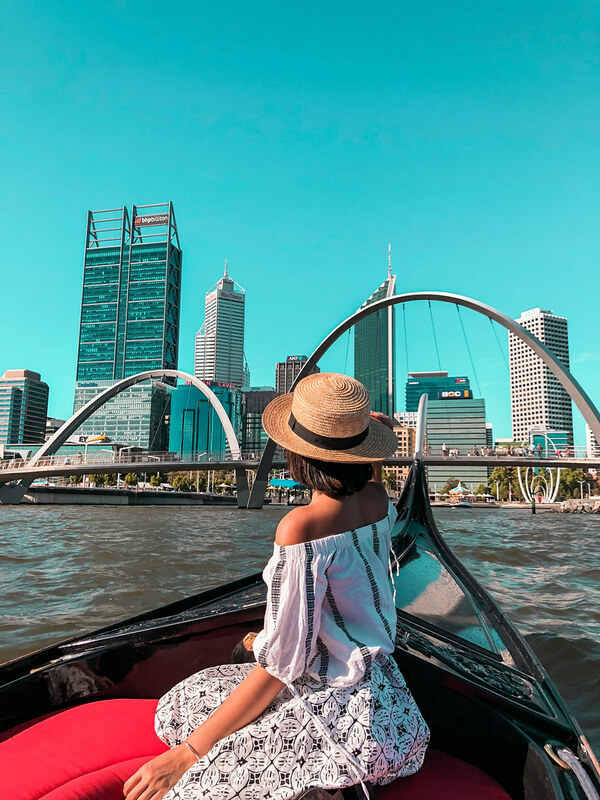 You can book online here if you have a fix itinerary or you can go straight to Elizabeth Quay. Elizabeth Quay -- Elizabeth Quay has been there for more than a year now. 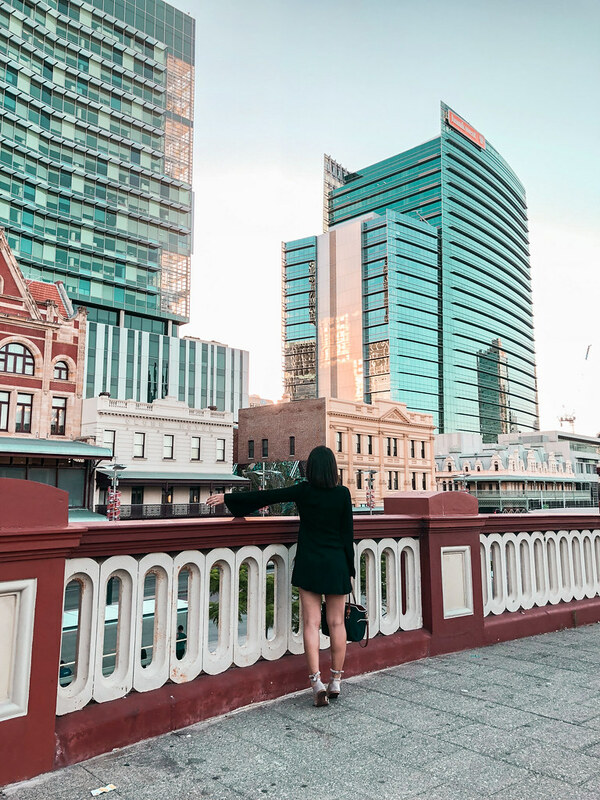 Elizabeth Quay is still developing, with International Hotel Chain, RITZ-Carlton building their waterfront hotel and apartment. There are bars, restaurant, gelato shop, and even carousel. It is such a nice spot to just hang out and it is best to come here in the noon just before sunset. Swan Bells Tower -- Bell Tower is located just next to Elizabeth Quay. 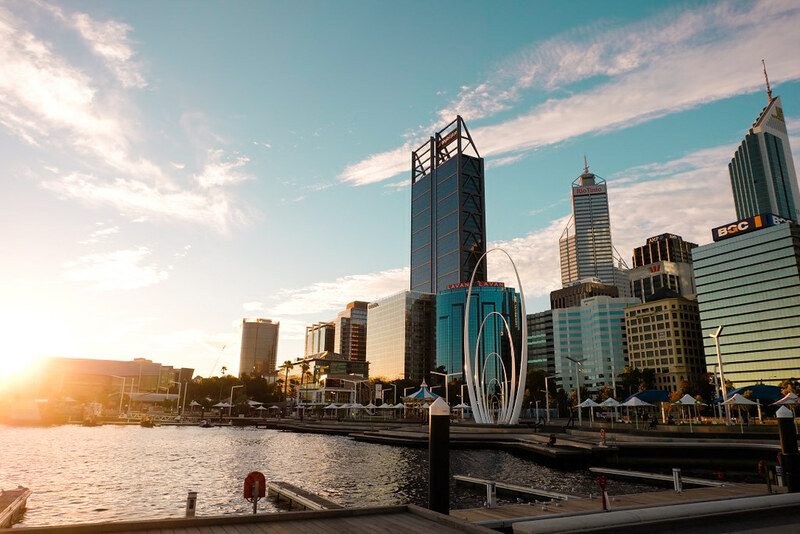 It offers a nice lookout of Swan River and Perth CBD from its observatory deck. You can also buy love lock and hang it here too. 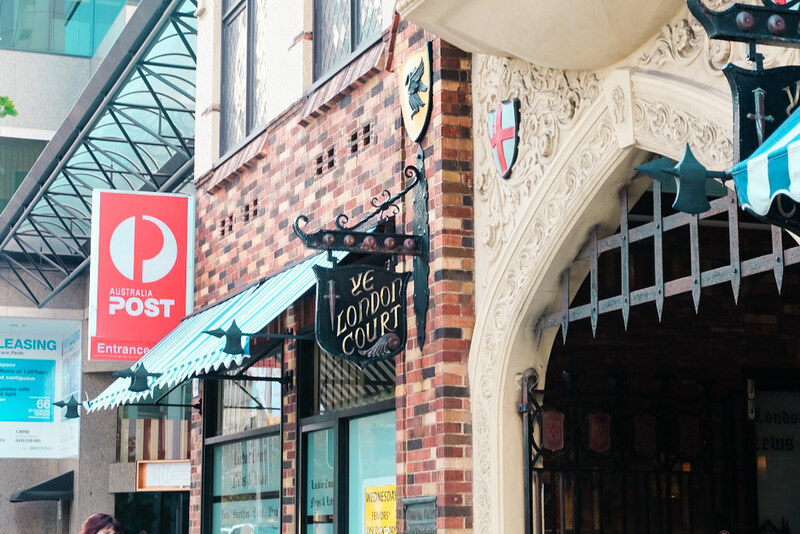 The London Court -- London Court is an alley filled with souvenir shops, coffee shops, and other different shops. It's entrance both from Hay St Mall and St George Terrace are unique. 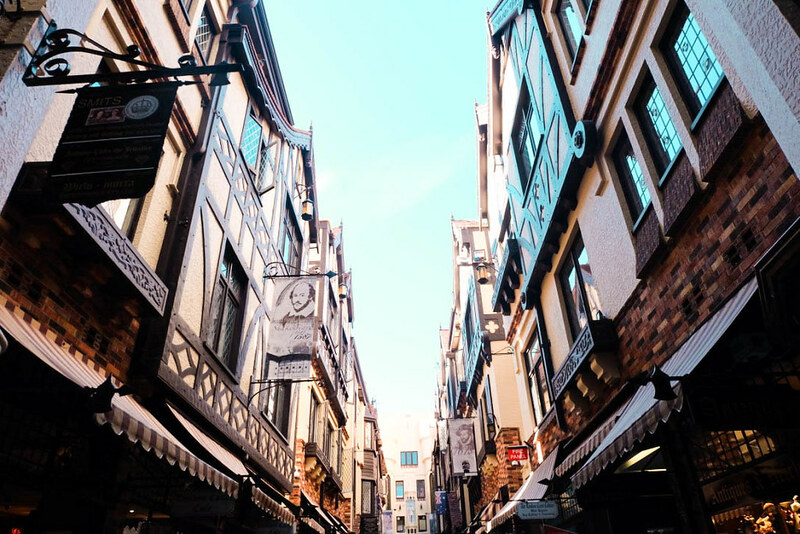 It is surely a picturesque alley and make sure you get your coffee fix here. 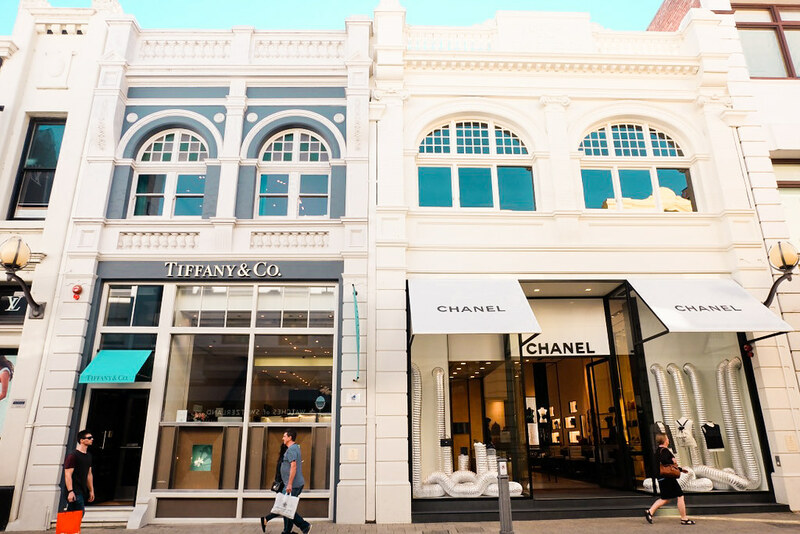 The picturesque high-end shopping prescient : Kings Street -- The victorian buildings amongst Kings Street are still well maintained and home to luxury brands such as Louis Vuitton, Prada, Gucci, Chanel, Miu Miu, Tiffany & Co, etc. I was really lucky to be in Perth both on public holiday and had Kings Street all to myself and be able to create so many pictures here. 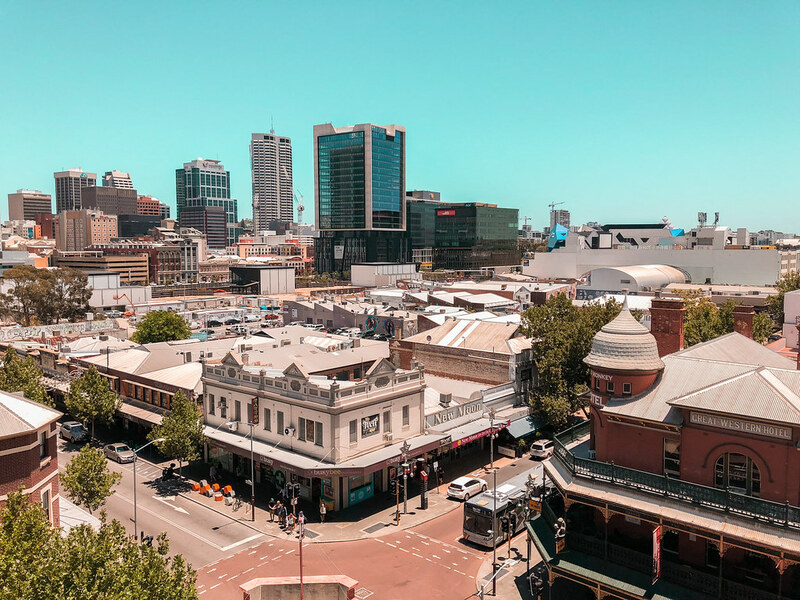 Northbridge is only 10 minutes walk from the CBD area, although it is still technically included in the CBD free bus map. To me, Northbridge is the vibrant and lively side of Perth especially at night time. There are a lot of restaurants, bars, desserts shop and they are open until quite late. It is also home to Perth's Chinatown. This was the best hidden gem for tourist. You can get discounted branded shoes such as nike, Adidas, puma, etc for up to 70%! It is almost similar to Sydney's Homebush DFO. To get here : You need to catch CATS bus and just ask the driver for direction and they will be able to explain and get you off at the right stop. Kings Park is one of the biggest city park down under. 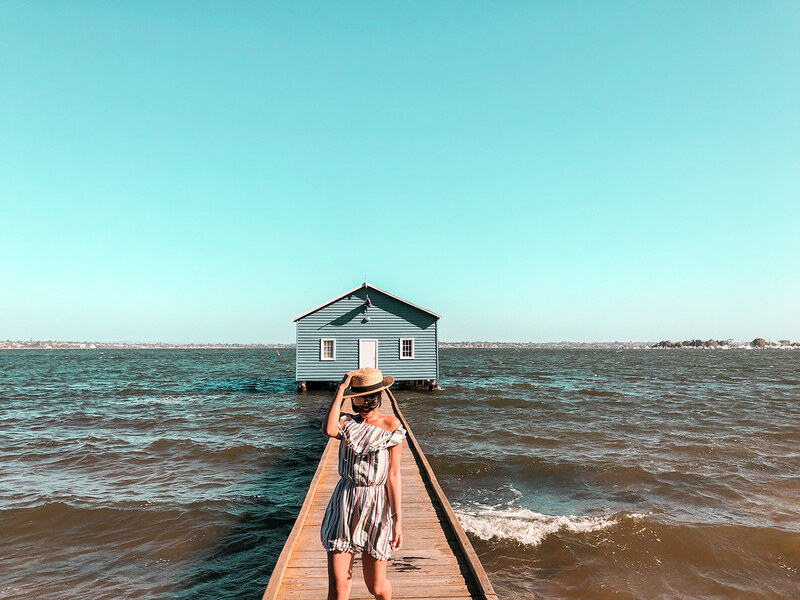 Situated in the west of Perth, it is a really nice location to have picnic with friends and family and also a great relaxing place to 'getaway' from the city buzz. 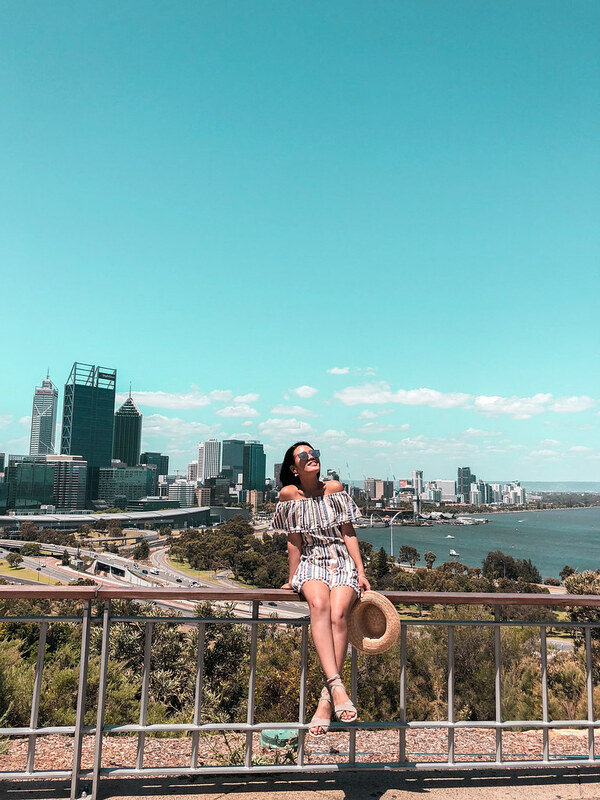 At Fraser Avenue Lookout, you will get the best view of Perth City Skyline. Locals also love to visit the park at night, they'd call it 'Perth at its best at night'. Kings Park is also home to the War Memorial. At the Botanic Gardens, there are different kind of floras from mostly Western Australia and you can find the Boab Tree, brought all the way from Kimberley. 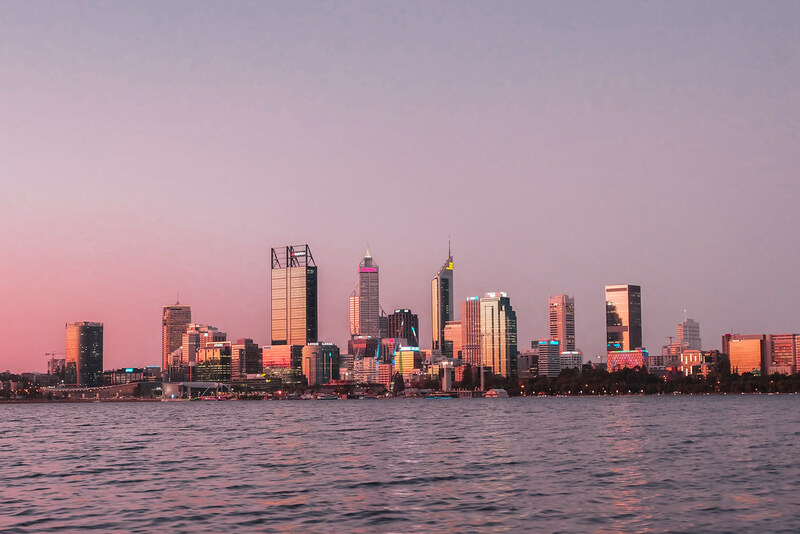 Hop onto bus number 935 and it will take you right to Fraser Avenue Kings Park or if you happen to hire a car during your Perth trip, it would be the best option, or wise, Uber. 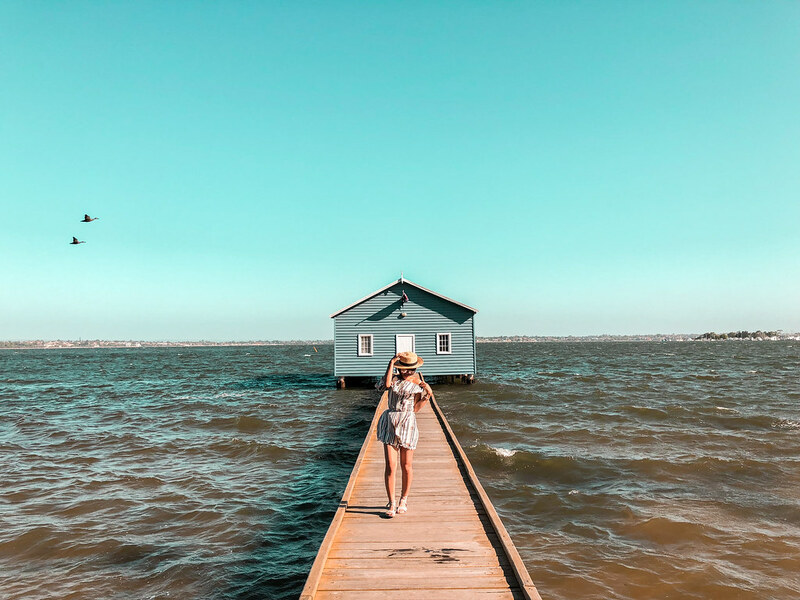 Do you really go to Perth if you didn't snap a photo at Crawley Edge Boathouse a.k.a the iconic blue house? 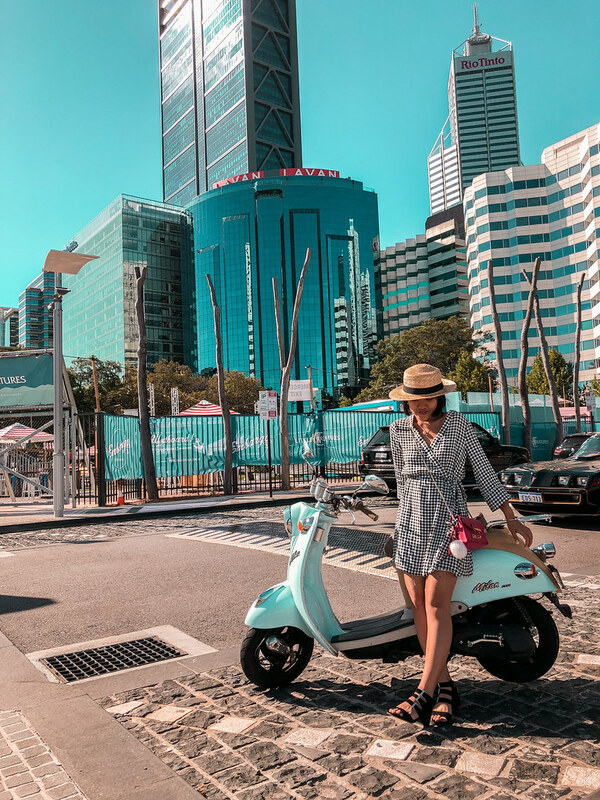 You can catch bus number 950 from St George's Terrace and the bus stop is right at the blue boat house, or wise Uber is the second best option. Another Perth Skyline lookout point. As I observe each places that I visit, locals tend to come here for fishing or just simply take their family out here to play by the water or little picnic. This Bay Area is really nice for a run with a view. There is also a really nice Italian restaurant named Ciao Italia located around the foreshore, which I would highly recommended. From St George's Terrace Bus Stop, take bus number 32 and it will take you at the doorstep of Ciao Italia. Foreshore is around five minutes walk from Ciao Italia. Or wise, Uber or self-drive. If you are traveling for more than five days and planning to head down to South Coast (Margaret River), I would highly recommend to hire a car (if anyone in the group or yourself can drive). If you are traveling solo and not able to drive like myself, public transport is always your best friend. You need to have a good skill in reading maps and understanding public transport system. I recommend downloading the transport app "Trans Perth" for easy navigation. Day trips are available. On the next few posts I am going to talk about some day trips from Perth. 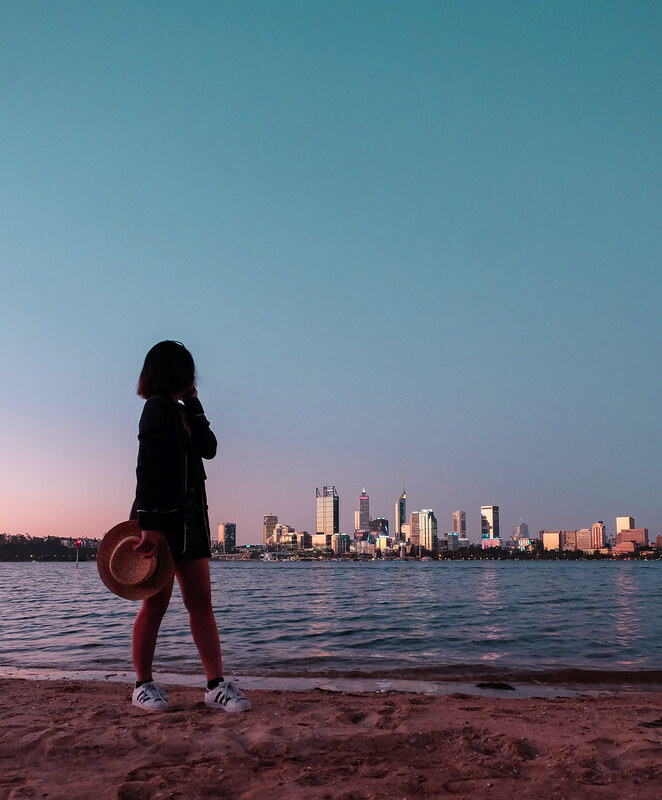 Perth is safe for solo traveler. 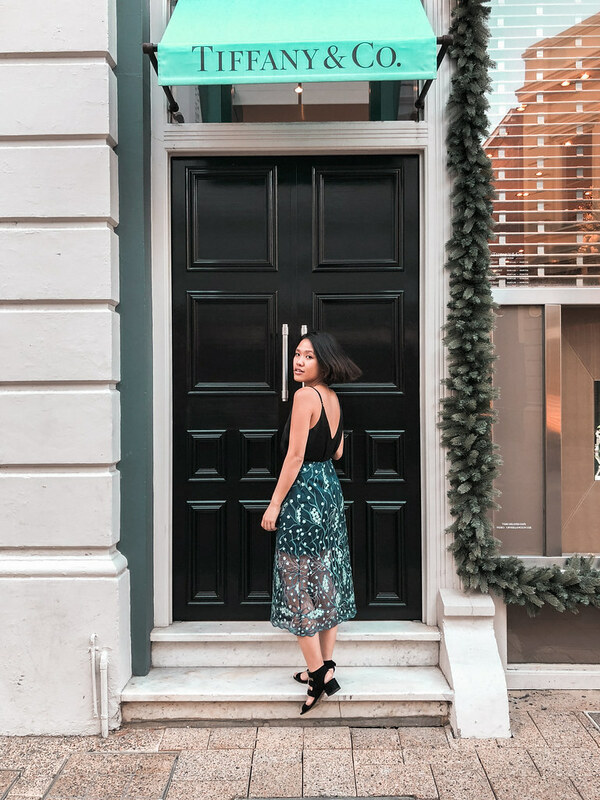 I wouldn't recommend roaming around the city at night on your own unless you are in a lively suburb like Northbridge or you have a personal transport (hired car). The footpath in the city are mostly luggage-friendly. Let me know if you have any questions about Perth. I would love to help you out as much as I can.